Home | Lots of Library Happenings at TMS this March! Lots of Library Happenings at TMS this March! Please sign up to volunteer as we will need lots of help – especially with book sales on Tuesday afternoon and Wednesday morning! Author Steve Moore will be coming to TMS on March 27th, which is the release date for his newest book!!! He is the author of the new King of the Bench series, which our students will love! His three books will be available at the bookfair a day before the rest of the bookfair opens so that students can get their books personalized if they would like. The following hardcover titles will be available for purchase beginning Monday, March 26th for $14.00 each. His newest title Kicking and Screaming won’t even be released to the public until Tuesday! This spring the Museum School will be reading the book wishtree by Katherine Applegate. As a school and community we will be reading this book together, enjoying activites, joining book clubs, and having a Wishing Day on May 1st, where we will hang our wishes on our very own wishtree. Please join us in reading this wonderful book with your families! An oak tree and a crow help their neighbors embrace their differences in this beautiful, nuanced middle-grade novel from Newbery Medalist and New York Times–bestselling author Katherine Applegate. wishtree is narrated by Red, an unforgettable oak tree who is many rings old. Red is the neighborhood “wishtree”—people write their wishes on pieces of cloth and tie them to Red’s branches. Along with her crow friend Bongo and other animals who seek refuge in Red’s hollows, this “wishtree” watches over the neighborhood. You might say Red has seen it all. Until a Muslim family moves in to the neighborhood. Not everyone is welcoming, and Red’s experiences as a wishtree are more important than ever. 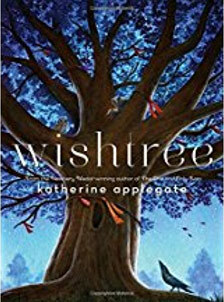 Funny, deep, warm, and nuanced, wishtree is Newbery Medalist and New York Times–bestselling author Katherine Applegate at her very best—writing from the heart, and from a completely unexpected point of view. 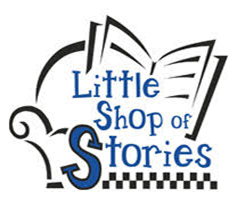 On March 30th, our school will have a day devoted entirely to reading! Kindergarteners through 5th graders may wear their appropriate pajamas to school that day. Middle School students may choose to dress up as a book character, however, the following guidelines apply. Follow student handbook guidelines for lengths, etc.